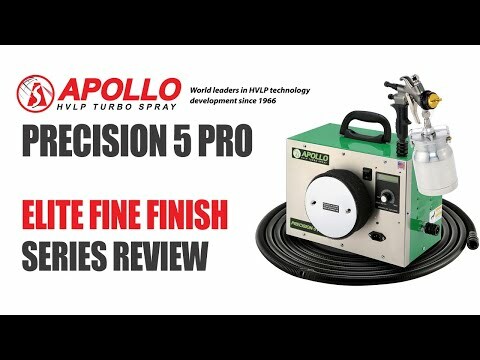 Take the outstanding features of Apollo Sprayers HVLP Turbospray system PRECISION-5 mounted on Apollo Sprayers 4550 mobile cart fluid feed system and you have 2.5 gallons (20 liters) of POWER + PRECISION + PURE PRODUCTION. Excellent in the shop or on site. Perfect for larger jobs when a quart (litre) or 2 qt (2 liter) is just not enough or when greater spray gun mobility is needed to get into tight corners. 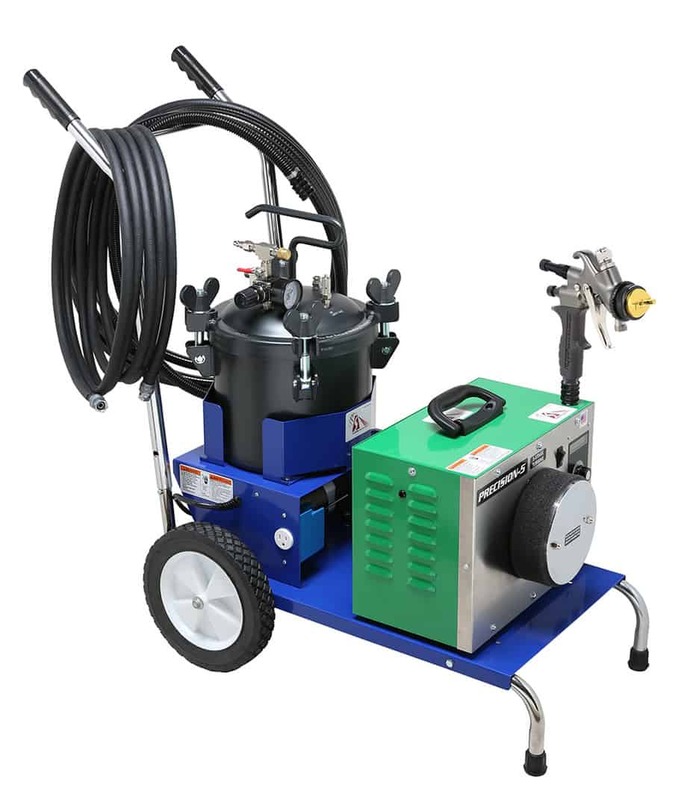 This system works very well with our 7700 AtomiZer series spray guns.